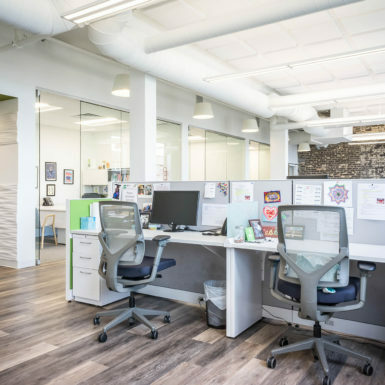 Educators For Excellence is a non-profit organization that empowers teachers to stay informed, expand their leadership, connect with colleagues and decision-makers, and advocate for change. 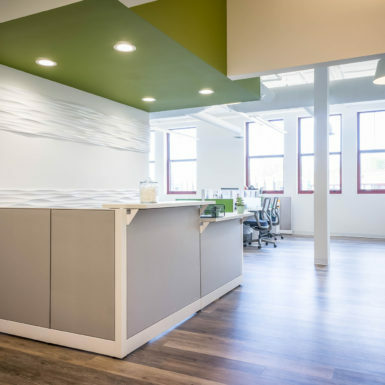 They have offices around the country. 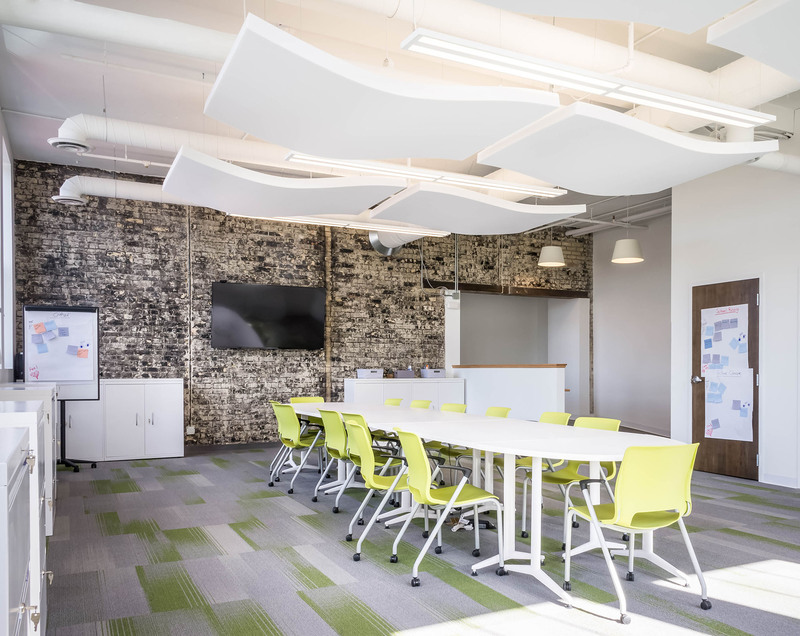 Though the new office space is modern, the building to enclose the new office space provided opportunities to showcase the building’s unique features, such as exposed ceiling and aged brick walls. 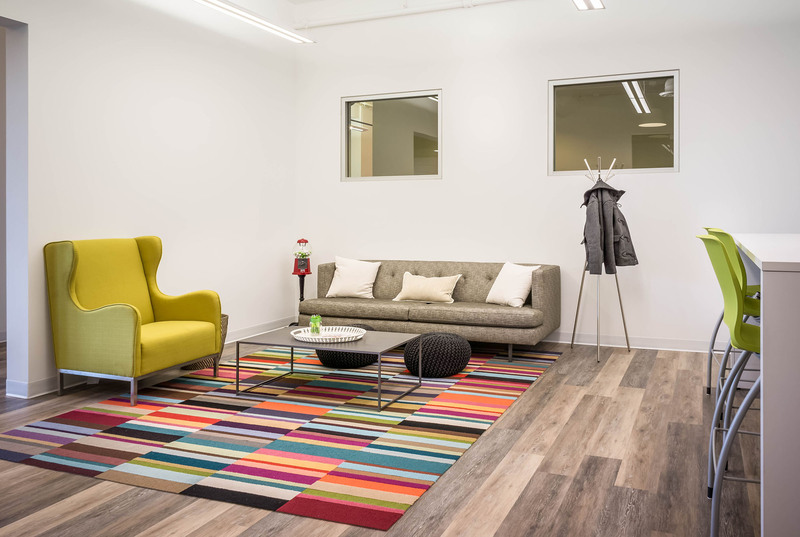 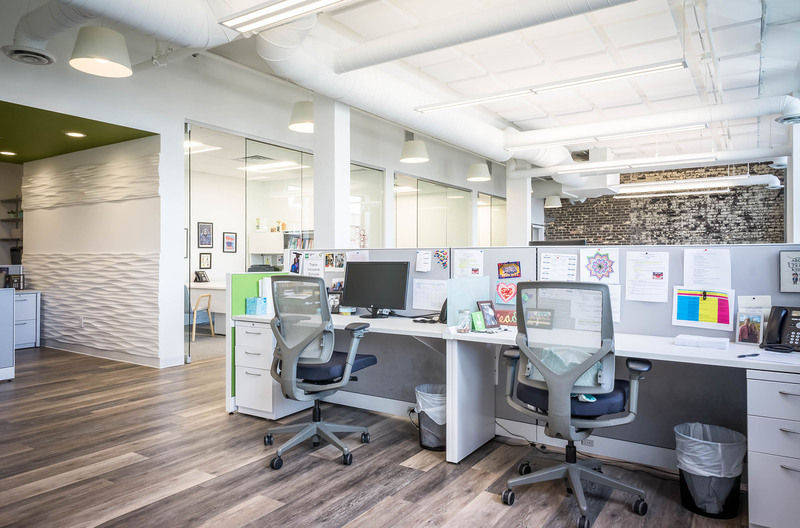 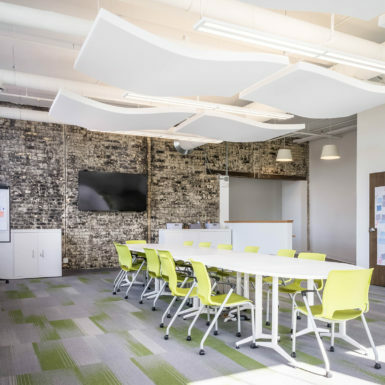 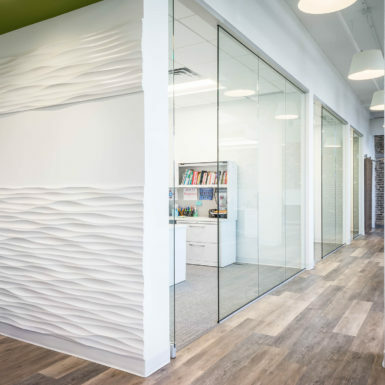 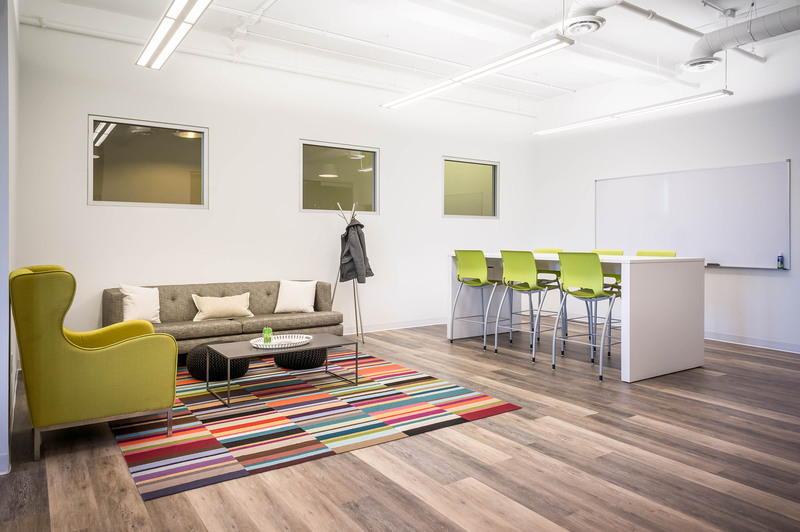 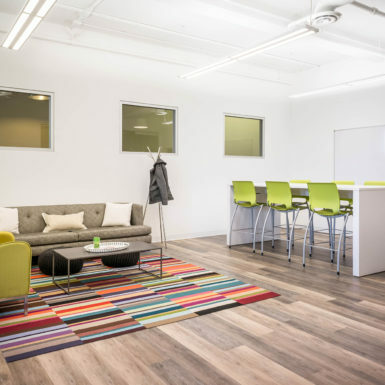 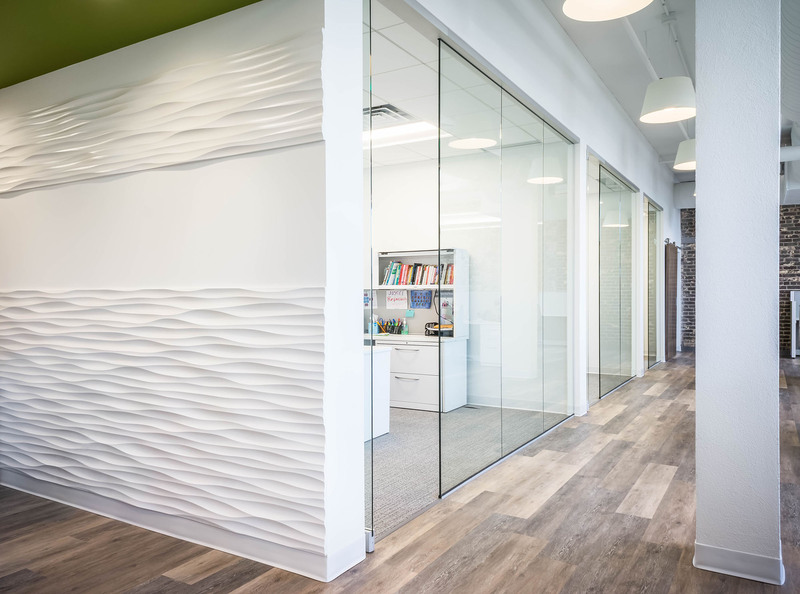 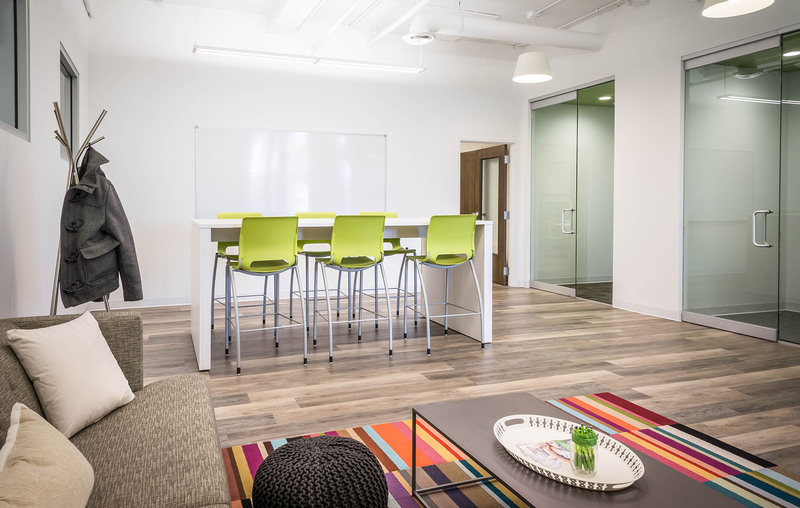 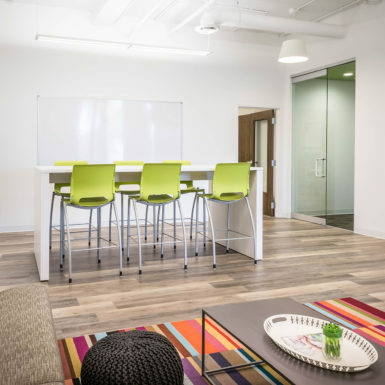 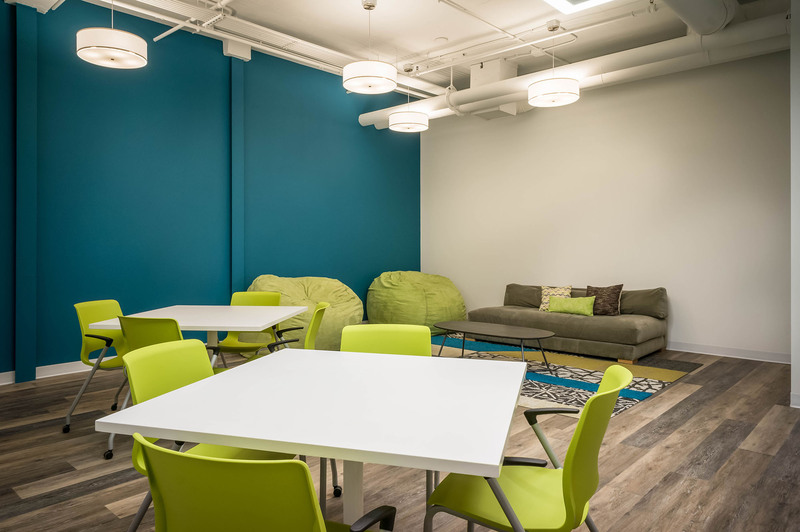 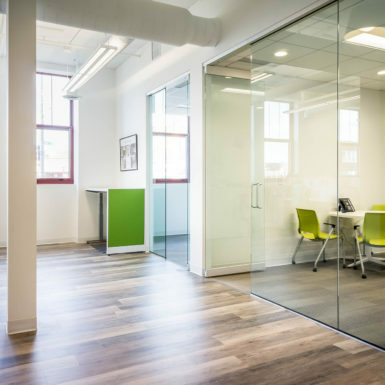 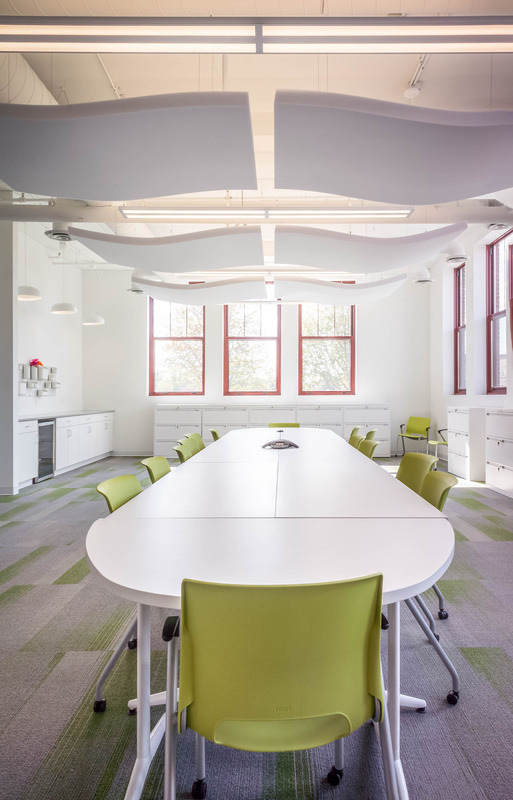 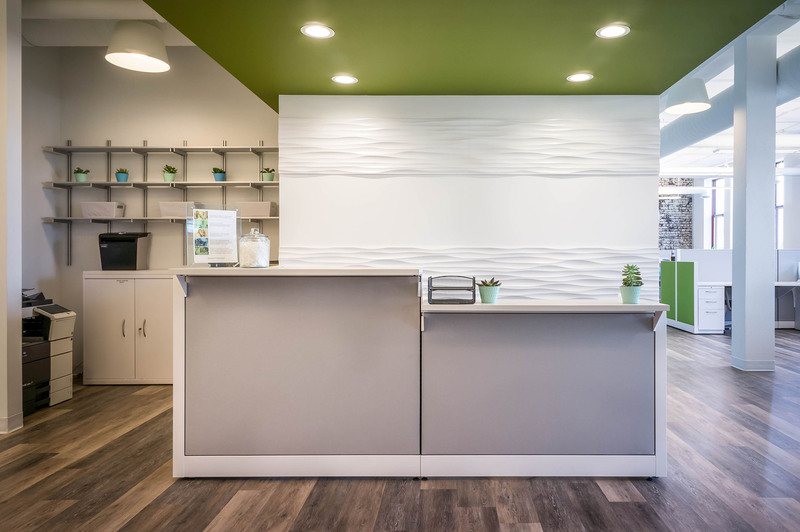 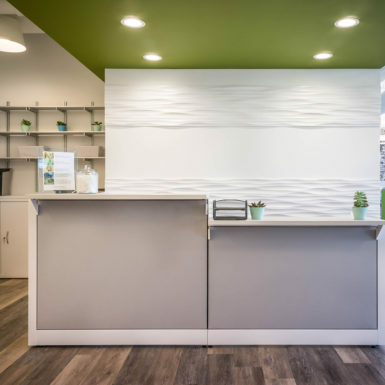 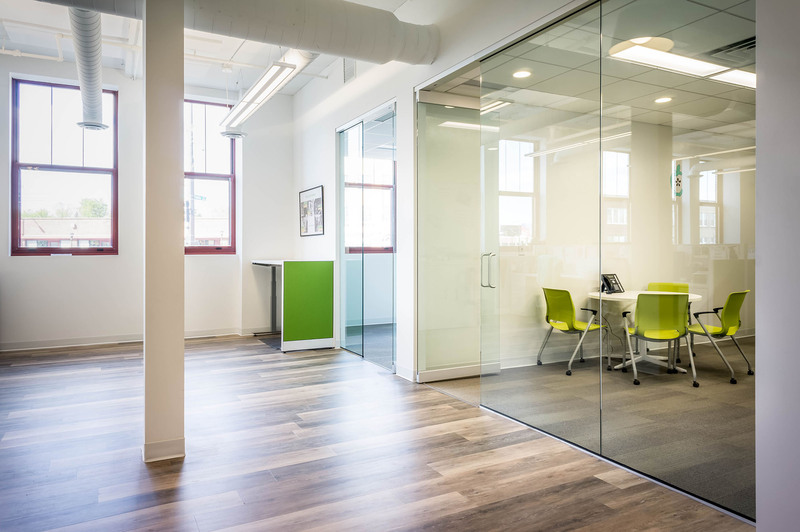 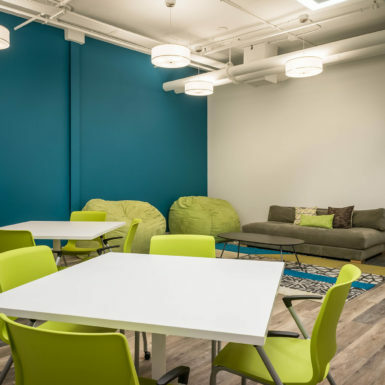 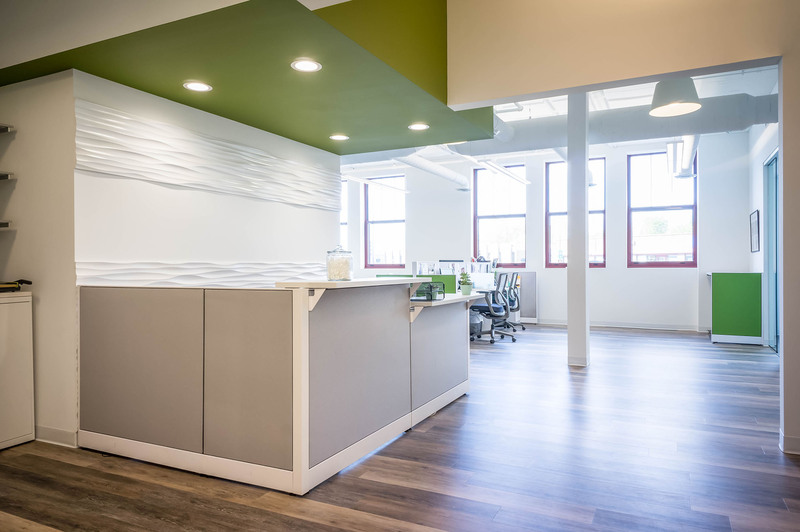 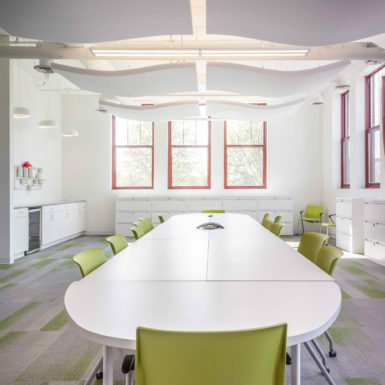 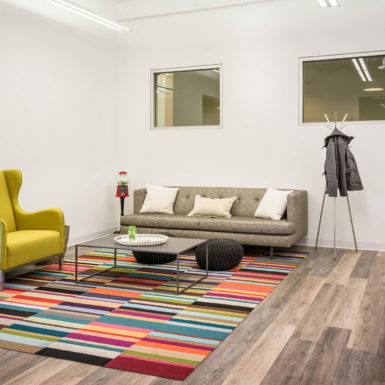 The bright green and blue colors selected were the branding colors of the organization, and used throughout the space to tie the project to the organization’s other office locations throughout the country.